You still think it's beautiful to die for your country. The first bombardment taught us better. When it comes to dying for country, it's better not to die at all. 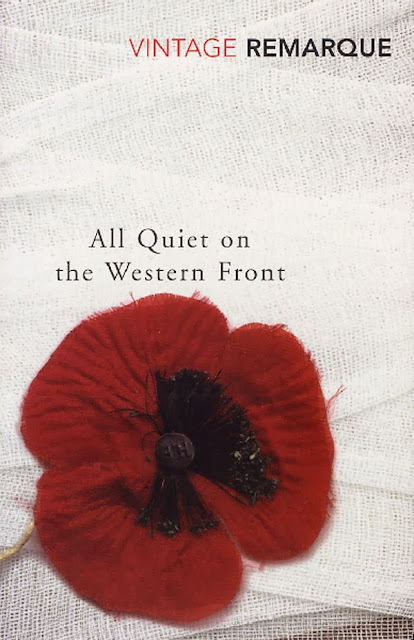 Erich Maria Remarque's objective in writing All Quiet on the Western Front was "to give an account of a generation that was destroyed by the war - even those of it who survived the shelling." Paul Bäumer, the narrator, acts as our guide to the world of trench warfare. We walk alongside him as he visits his mortally wounded friend in the infirmary, crawls between shell-holes in the mud dodging death, returns home to his village on leave, and remembers life before the war. We are guided not just through the physical landscape of war, but he shares with us his most personal thoughts - thoughts that change, attitudes that adapt to his changing reality of life as a front-line soldier. At the beginning of the story he is able to take comfort in the companionship of his comrades, and in the small, fleeting moments of beauty, such as the butterflies in the mud. He sees poetry in the movement of a column of men, and a battlefield "like a storm-tossed sea, with the flames from the impacts spurting up like fountains." Nature informs his experiences and links him to the world before the war. But the longer he serves on the front line, the more difficult it is for him to forge those links with the past. He becomes lost in the present, with no past to comfort and no future to inspire. He is one of the lost generation. It is very easy to forget that this is a depiction of a German, and not a British soldier for there are so many similarities to other depictions of the same battles from the allied side, such as Generals Die in Bed by Canadian Charles Harrison Yale, Under Fire: The Story of a Squad by Henri Barbusse, the poetry of Owen and Sassoon et al. The power for me is in the depiction of Paul Bäumer not as a German, but as Everyman. His Germanness was not emphasised. He is a young boy just like thousands of English young boys who enlisted because his teacher gave a stirring speech, and because all his chums were signing up. Paul and his fellow soldiers are shocked to see the kaiser and recognise that he too is just a human, and not a force of mythic proportion. They cannot imagine that he "has to go to the lavatory." The army necessitates the surrender and negation of individual personalities amongst the soldiers. Paul has moments of clarity when he begins to see the enemy, and all humans, even the kaiser, as individuals. One thing I do know: everything that is sinking into us like a stone now, while we are in the war, will rise up again when the war is over, and that's when the real life-and-death struggle will start. Without dreams of the future, without wife or children, job or home, Paul thinks perhaps the elusive goal that he needs - the image of the future to which he can cling - might be the goal of one day being once again a whole human being: "Is this the task we must dedicate our lives to after the war, so that all the years of horror will have been worthwhile?" Each individual must come to terms with his/her own participation in the war and find peace within. 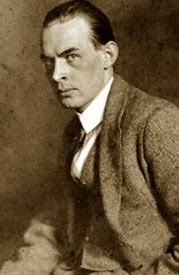 But this moment of hope for Paul, the representative of his generation is in vain, for as Erich Maria Remarque has explained, his was "a generation that was destroyed by the war - even those of it who survived the shelling." There is no redemption, no hope, no future for the lost generation. Lovely review. This is one of those must-read books that I still haven't picked up and I really should - despite the desperate sadness I think will be there. I remember watching the 1930 movie in high school after reading "Generals Die in Bed" in history class and being very moved. I would definitely classify this as a Must Read Book.